For the final session of Pewter Casting for the year 7's Tech, the year 7's decided to create a thank you letter. Specifically, and thank you letter to Mr Grundy, the year 7 Tech teacher. 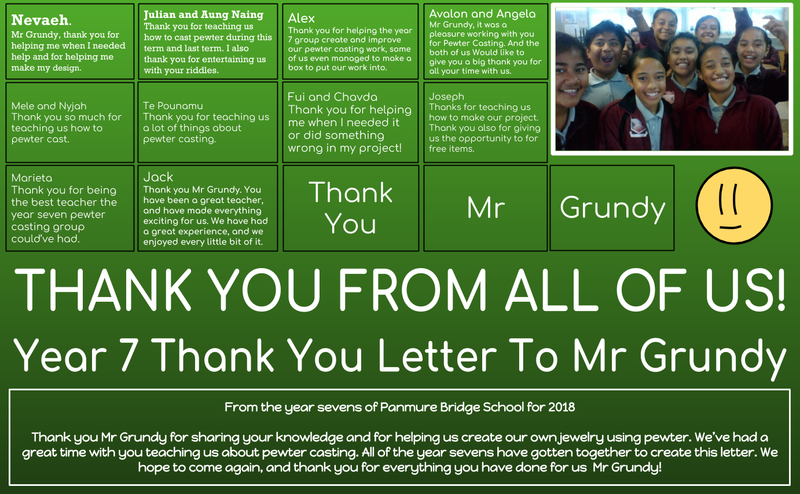 Almost every year 7 contributed to create this, and we all individually wrote a personal thank you message in their own small boxes. 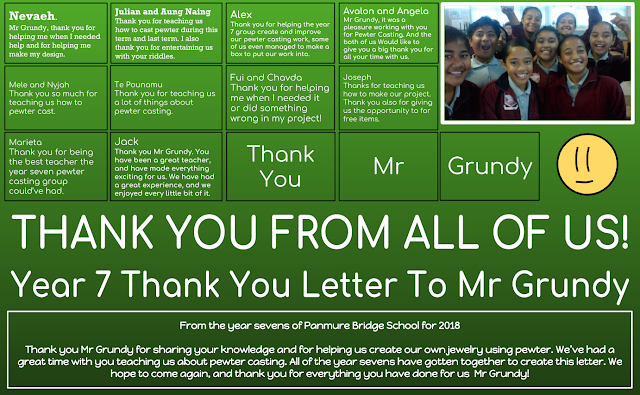 Although on top of that, we had a large thank you from everyone, to show our appreciation for what Mr Grundy had done for us.